Mined today in China, Australia, Brazil, India, Russia, Ukraine, South Africa, Canada, Venezuela, and the United States. 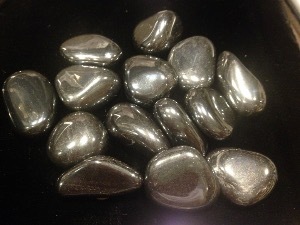 Hematite is most commonly used as a ground stone, excellent for keeping one connected to the Earth. Also a stone for studying, held while studying helps to keep attentive and to retain the knowledge. Hematite is a great stone for gridding a property, providing a protective barrier. 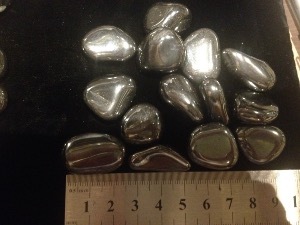 Hematite tumbled to a smooth finish, an ideal pocket size stone, small enough to carry around with you. Tumble Stones can also be placed around the home for their energies or can just be nice decorative items. Hematite crystal gemstones of varying sizes selected specially for your order.